Putting a spotlight on diversity in fashion & the creative minds dedicated to bridging cultures. Anissa Aida has been named by Forbes as their “ favourite this season because she makes ready-to-wear that would suit everyone”, and you could see why with her classic clean lines and easy on the eye mediterranean palette. The wearable yet creative designs reflect both modernity and tradition. 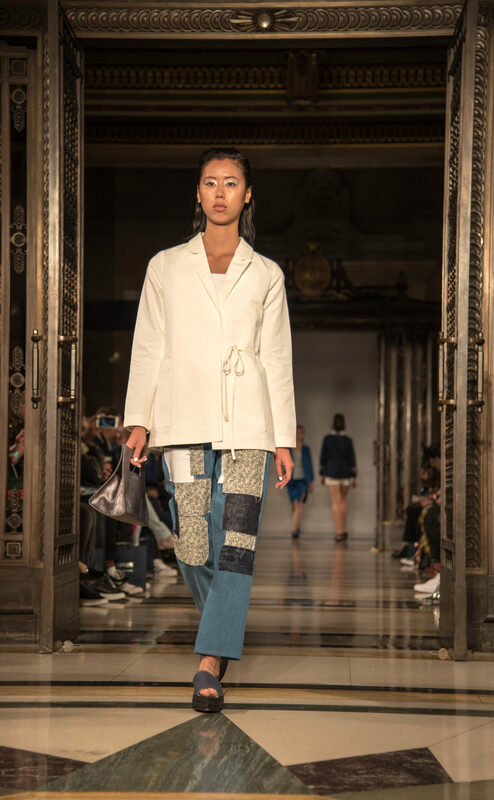 Aida blends Tunisian and Japanese influences in a way which showcases a sophisticated and sartorial silhouette. It feels clean, easy and minimalistic. You could step out in these looks feeling quietly confident. 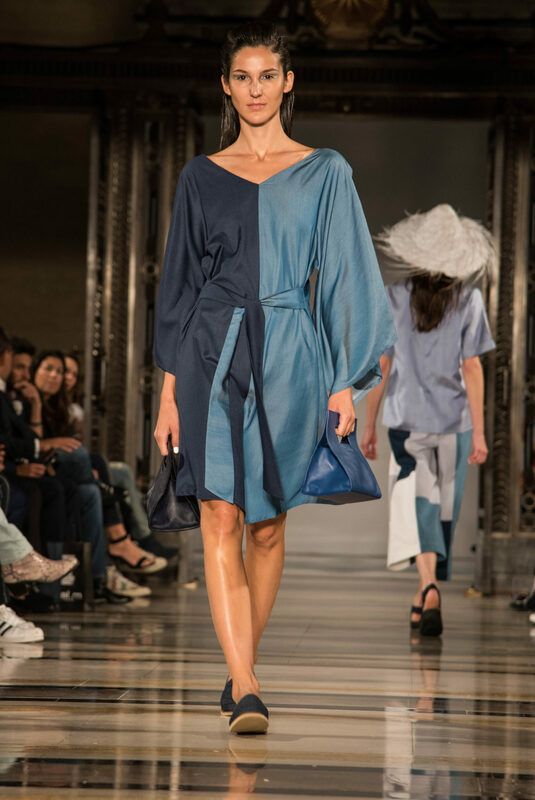 The collection titled “outer-mer” featured a blue tonal colour palette with white highlights. The fluid silhouettes were combined with casual patchwork designs. 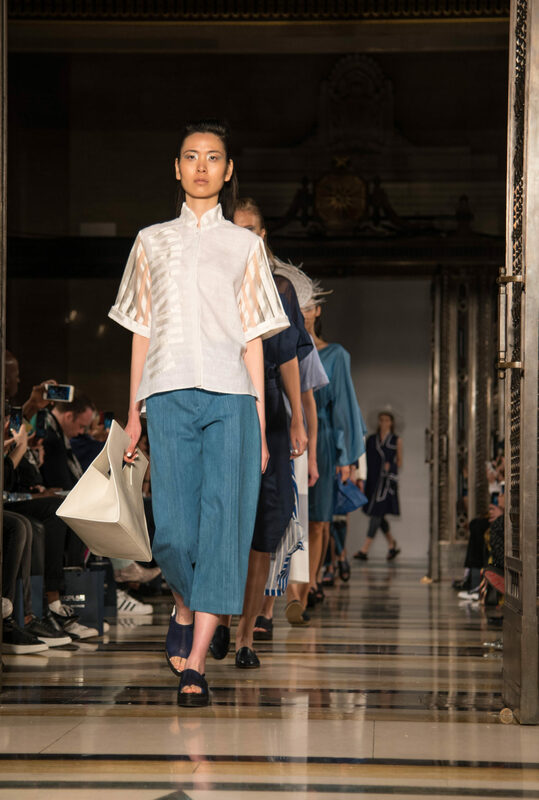 We saw linens, hand-woven silks textures and asymmetrical lines which brought in the Japanese influence. My thoughts, the collection is an “easy buy”. 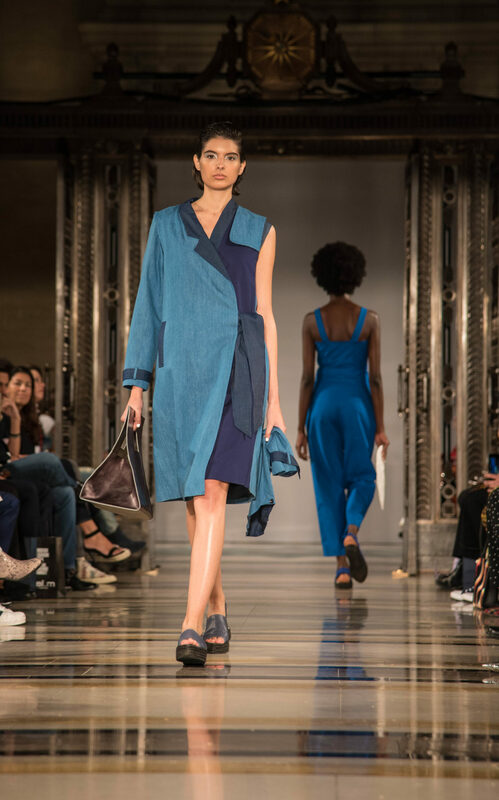 It had an artisan vibe, you would feel cool, sophisticated and effortless in these designs. Carla Louise is a curly-haired senior fashion and graphic designer. Originally from Manchester, United Kingdom, Carla has worked in the industry since 2006. 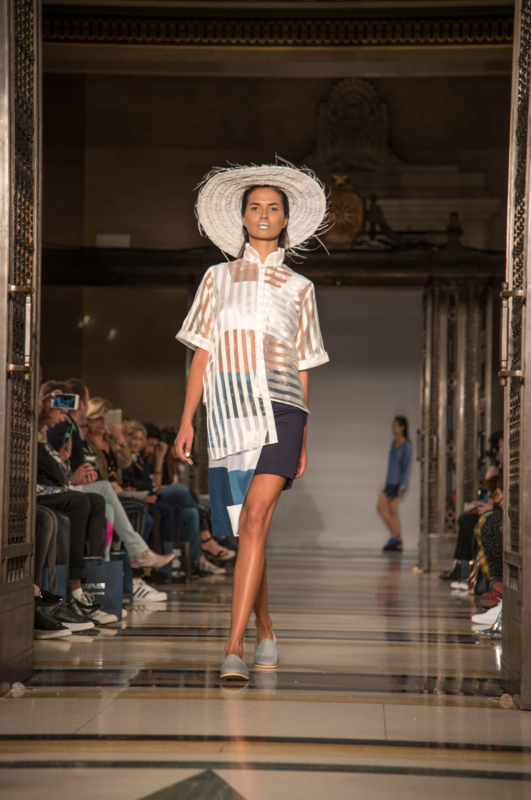 Her design aesthetic has been influenced by her Jamaican, English & Irish roots, travels and cultural experiences. She has lived and worked internationally for most of her career in Shanghai, Hong-Kong, London and Istanbul. Her designs have been featured in Vogue, InStyle and Cosmopolitan. Carla brings her curiosity, love of life and colour to her designs and dance moves. Her life's mission is to create fresh, original and effortless designs that make your eyes go wow and your heart go boom!